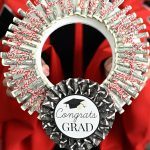 A Peek at the Fun: These cute chocolate graduation candy leis are a fun twist on an old classic (because seriously-who doesn’t love chocolate?)! 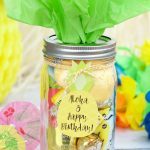 Learn how to make candy leis for a great graduation gift for high school, college or even preschool or Kindergarten. Yes-did you read that title? Chocolate. 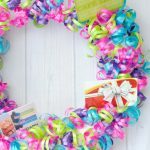 Made into a lei. 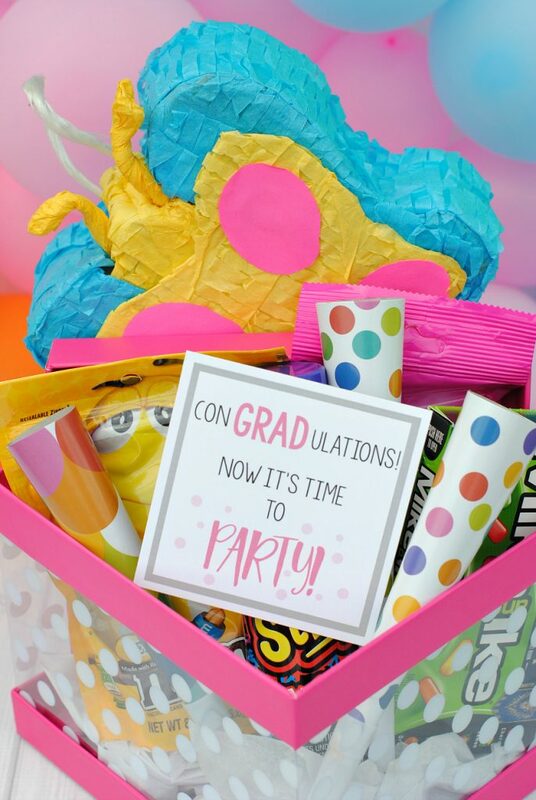 For graduation. Just straight up smart right? 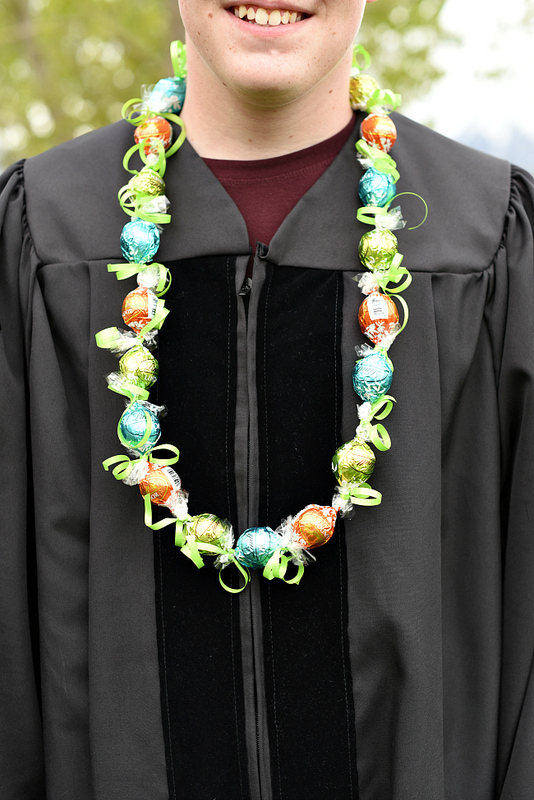 The graduate is the one that’s supposed to be smart because they are graduating, but you’ll be the one who looks smart because you thought to make chocolate graduation candy leis. 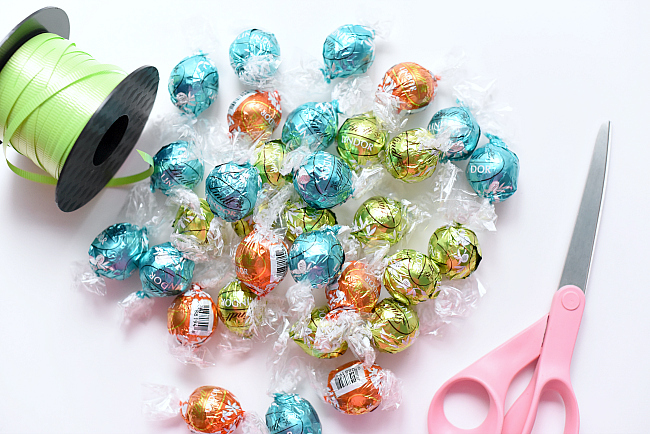 And out of Lindt truffles no less. People, it doesn’t get any better?! In fact, you probably better make one for yourself too, right? Seriously! 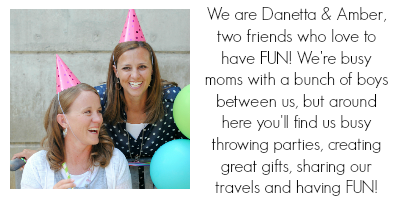 How much fun is this? 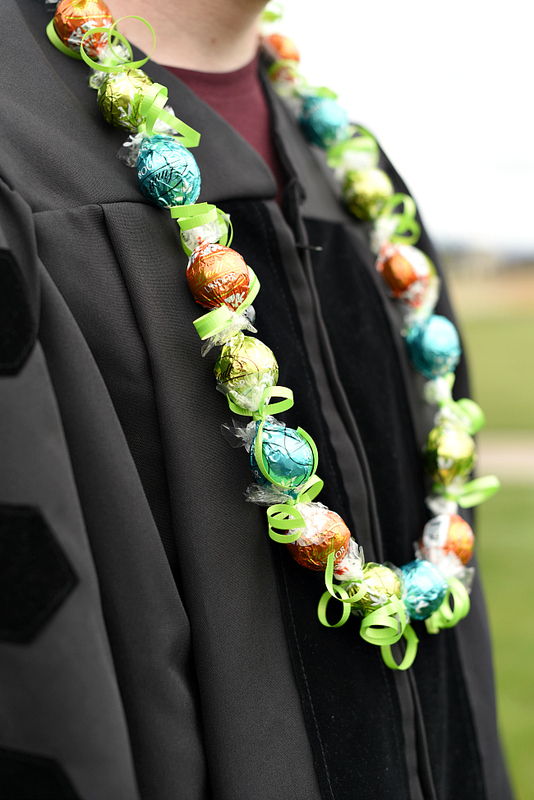 A unique twist on a classic (everyone does money leis), but more fun, because it’s chocolate. 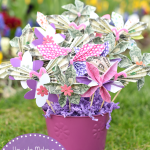 And it’s easy to make. The two of us sat down to make this and it took us about ten minutes with the two of us working. That’s it! That’s all you need. 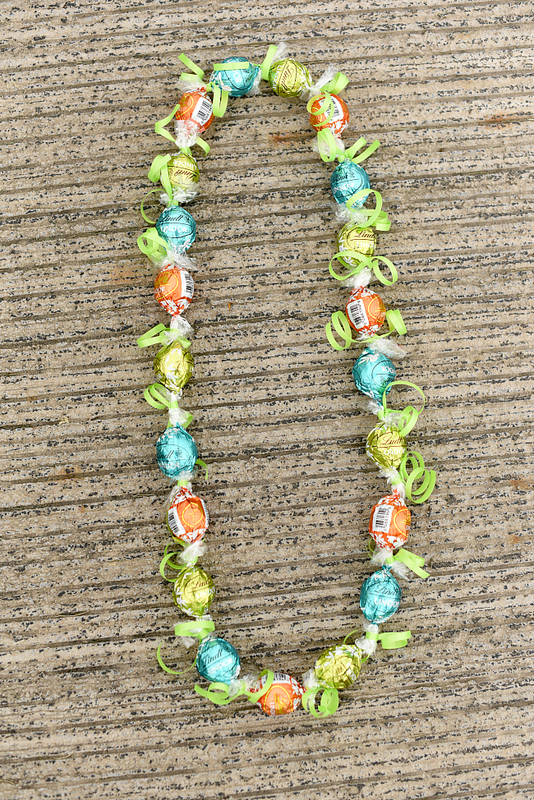 Now, to make these graduation candy leis, simple overlap two of the ends of the truffle wrappers (overlap as far as you can get them) and then cut a small piece of curling ribbon and tie it around them. Just keep doing this until you’ve got enough to form the circle and you’re set! 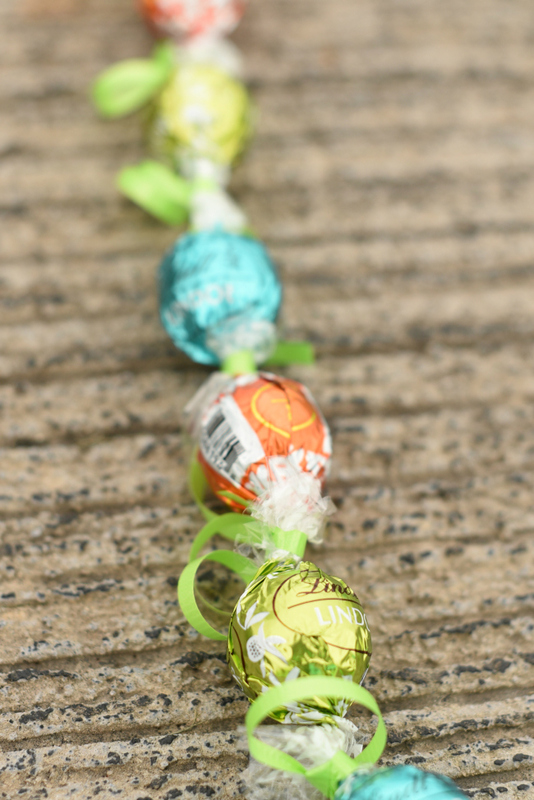 You’ll want to curl the ends of them once you’ve got them all tied. 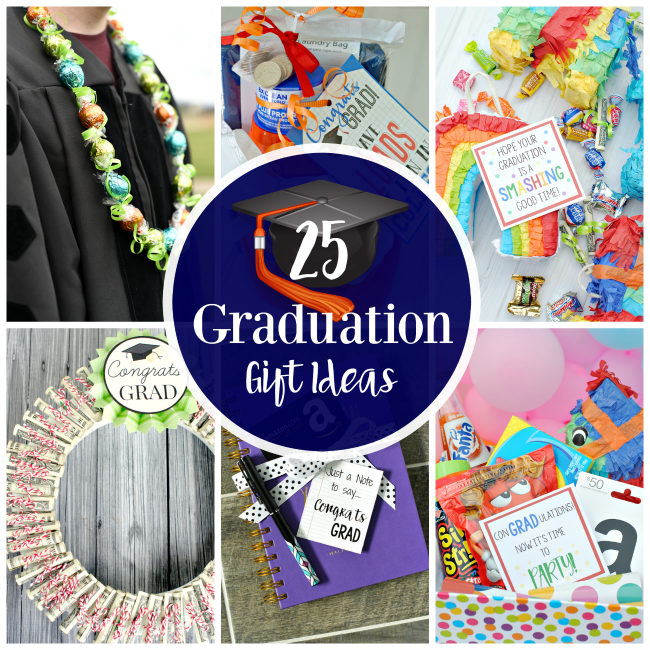 Have FUN celebrating graduation with these fun DIY Graduation Candy Leis!